A rhythm game with a story mode that intersperses visual novel scenes starring the cast of Persona 4 plus a few new characters. It’s a satisfying spinoff with a competent story that avoids the pitfalls of other P4 spinoff games - established characters aren’t derailed and new characters aren’t spotlight-stealing Mary Sues. It’s enjoyable to spend time with the Investigation Team and friends again, revisit P4 ’s excellent soundtrack, and see each character’s personality-appropriate dance moves. 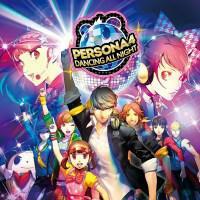 For the Persona fan who enjoys rhythm games, it’s absolutely worth playing. Rhythm fans who aren’t also Persona fans would likely be better served by a Hatsune Miku game. The gameplay here is serviceable, but the tracklist and customization are a bit slim. Also, there’s a lot of pricey DLC despite the base game being expensive enough that it really feels like it should have been the complete package. I Stopped Playing When: I got the platinum trophy, which includes finishing the story and completing a variety of other objectives. I’ve occasionally returned to play a couple of my favorite songs.